With all the state-of-the-art audio enhancements that you can rig your car with, nothing can still beat the dependability of a car FM/AM radio. You may already have a highly-efficient and outstanding stereo system with all the perks like a killer MP3 and CD player but having a radio signal can keep you up to date with the traffic and offer you the latest news and entertaining music from your local FM/AM radio stations. Nevertheless, having a good radio signal still depends on having a dependable antenna. Without it, your radio is nothing. 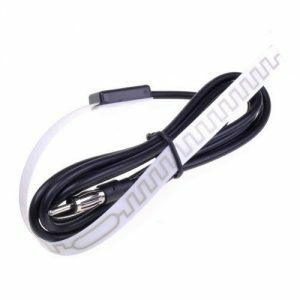 A car antenna, which can be any electronic structure that is made to radiate or receive radio signals and other electromagnetic waves, is a must for every car. There are many FM AM antennas to choose from, and they offer a variety of features. There’s no doubt that the easiest way to find the best RV AM FM antenna to meet your needs is to find an FM antenna review on your preferred antennas. Take a look at top 5 best radio antennas available on the market today. The first in our review is ZHOL® NEW Am-FM Hidden Windshield Antenna Car Radio Truck. ZHOL is the Amazon registered brand. This item has a new proprietary design that enhances performance with unique MICO Screen element. This is a universal AM/FM antenna that is easy to hide in your automobile, truck, and even boat! Just hide it anywhere. It is simply to hook up, peel, and stick to glass, roof, headliner, inside the camper, and it mounts to any surface. Specifications: AM radio – 535 kilohertz to 1.7 megahertz, FM radio – 88 megahertz to 108 megahertz. Unit Length: 6Ft/1.5M. Output plug: Standard car radio. Cable: 9 feet of Low Loss, operates on all Digital and Traditional AM-FM Radios. Weight: 3.5 oz. With such cheap price, you will be totally satisfied with this excellent product. If you are looking for an antenna to use either inside or outside, the Jensen Marine AN150SR is your last stop. Mounted indoors or outdoors in an unobstructed location, the AN150SR JENSEN Amplified AM/FM stereo antenna combines remarkable reception and compact size. It is easy to install and comes with adhesive foam strips to allow you to put it wherever you want including marine applications. It also comes with a lengthy 7-foot cable and a 6 milliamps 12v power source. The Jensen Marine is a long-range amplified antenna which meets the needs of the most demanding listeners. The antenna can capture AM and FM signals from longer distances offering listeners more variety and a better signal overall. This long-range amplified antenna is designed for demanding AM/FM listeners. The antenna works well for its intended purpose. The next item in our review is Dual Electronics MAR16B Flexible Mast Marine Antenna AM/FM. The Dual Electronics MAR16B marine antenna provides studio quality sound for an unbeatable price. 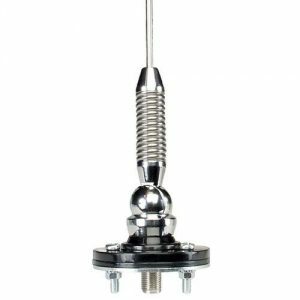 With a range of up to 10 miles including all Marine Band frequencies, this is a must have marine radio antenna. The sealed rubber exterior ensures that your marine antenna will not succumb to salt and spray. Our unique and easy-to-install design includes a 16-inch mast, a 180-degree swivel base and a 54-inch cable permitting seamless mounting in any location in no time. This item is backed by 1-Year Warranty that guarantees a hassle-free experience with excellent customer service. The dimensions of this product are a 16-inch and a 54-inch mast. Overall, it is a high-quality product offered at an affordable price. A AM/FM Antenna with a 96-inch cable by Magnadyne will fit pickup trucks, SUV’s, and RV’s. An all-steel structure with a powerful spring allows the antenna to bend instead of break if hit by something. Mount swivels allow for horizontal or vertical mounting position. It has its own long ground cable with the eye on end. A nice long antenna wire allows for routing behind the dashboard. This item comes with its own stainless mounting bolts, nuts, and lock washers. This AM/FM Antenna with 96-Inch Cable is easy to install and that means that just minutes after receiving the package, you can begin enjoying your favorite stations. It is an excellent product for a reasonable price. 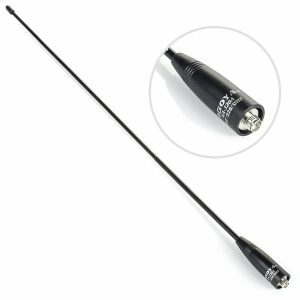 We guarantee that you will be pleasantly surprised with the top quality of this antenna. The Nagoya NA-320A is the latest addition to the Nagoya family of Mobile antennas. The Nagoya NA-320A is a dual-band magnet mount antenna with over 4 dB of gain. 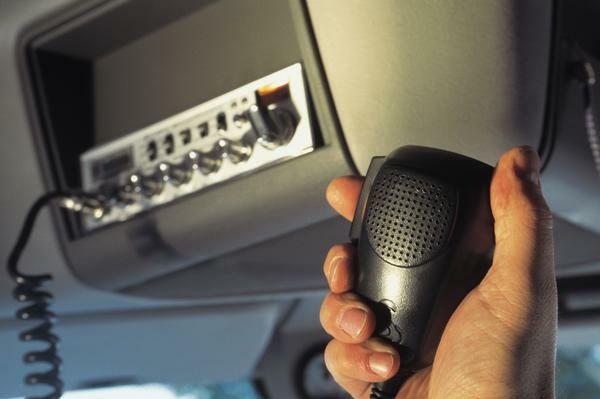 It is designed to be used with your mobile or handheld radio. An included super flexible SMA adapter cable allows for easier installation to your handheld radio. It will help improve your signal by mounting the antenna on any vehicle with a steel body (like cars). The NA-320A antenna, when mounted vertically, is omnidirectional, which allows it to receive a signal from all directions. 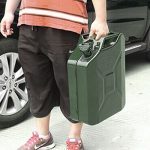 It uses a very heavy duty rare-earth magnet on its 3.25-inch magnetic mount and is a perfect antenna for cars, pickup trucks, vans and SUVs. 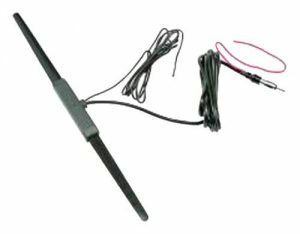 With 14 feet of Heavy Duty RG-58, you are able to set up your antenna on almost any vehicle application. The antenna itself is 2.5mm thick compared to the usual 1.5mm antennas found on most vehicle magnetic mounts. Your car’s antenna has the power to receive signals for your radio device. Also called aerial, this device has several types, namely Adcock, artificial, balancing, beam, beavertail, power, quarter-wave, retractable, and whip. 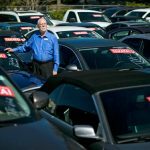 Although they serve different purposes, most of them share the same function of receiving radio signals for your car’s FM radio. Now, in the age of flashy Blu-rays, this may be an obsolete device. But the fact that radio stations sometimes broadcast breaking news relating to traffic, crimes, or natural calamities, their importance can’t be ignored. In the case of natural calamities where electricity can be cut, having a reliable car antenna to be updated of what’s happening can be a lifesaver. This, apart from the usual function of relaxation from listening to music played on your FM radio, is one of the best reasons why you should own this piece of equipment, especially if your car doesn’t have one installed. And if you’re thinking of changing your antenna or even your antenna mast, be sure to get a power antenna or even a high-gain antenna for a sure signal. Also be sure to take note of the materials that were used on the antenna for these can make a big difference in the antenna’s reception quality.